Island Creek and Tilit teamed up to create the apron every oyster shucker needs. So you've done your homework and studied up on all the oyster varieties you need to know about, from Bluepoint to Kumamoto. You've successfully mastered the art of shucking oysters at home—or finding the best spots for dollar oyster deals—and the art of pairing said oysters with the right wine. What you need now is not an oyster knife—because clearly you already have one—but this new oyster shucker's apron, made by experts, for experts (like you!). 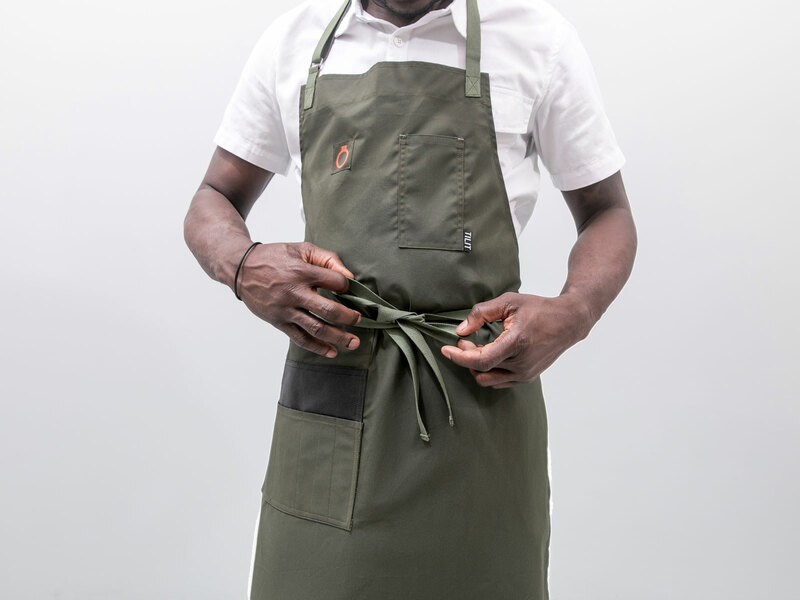 Chef and Rhode Island native Sean Telo, most recently of 21 Greenpoint in Brooklyn, just teamed up with apparel company Tilit, which makes custom aprons and uniforms for chefs and restaurant workers. The result is an apron that's perfectly (ahem) suited, down to the tiniest detail, for the art of oyster shucking. The material is a waxed cotton that repels water to keep you dry, and the green color is supposed to match the waders that oyster farmers wear out on the water. "We obviously wanted to give a nod to the folks that really make this all happen—the farmers," Telo says. There's also a large pocket for stashing a towel or gloves. It was chef Steven Satterfield of Atlanta's Miller Union who connected Telo with Tilit. Satterfield had previously collaborated with the apparel company on a bib apron and "couldn't stop raving about them," Telo says. So the chef, who now works with Island Creek, brought them his idea. 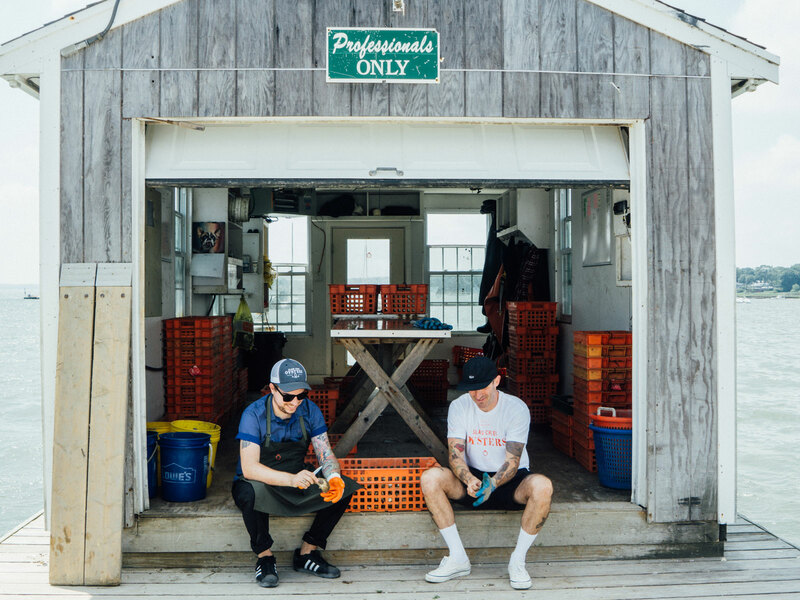 "I’ve never seen an oyster shucking apron before, at least not one that was designed to look and feel comfortable while also being functional. So many aprons out there aren’t geared towards the riggers of shucking a thousand oysters a night, until now," he says. "I’m really happy with how it turned out." What Are 'Reserve Oysters,' and Why Are Chefs in Love with Them?